FITS ALL OF YOUR POTS & PANS: it is safe to use on a daily basis. Its flexible silicone nature, allows it to have a perfect fit on every pot and pan. Ideal for woks, saucepans and bowls as well. When you are done using, simply toss it in the dishwasher and let it do the rest. Kitchen Goods, a unit of Dominant Systems Corporation, uses sophisticated crawler software to search the web looking for great product deals online. For this page, related items include products we find that match the following keywords: "Strainer" at our vendor partner Walmart - Click More Info / Buy Now to check for price rollbacks!. 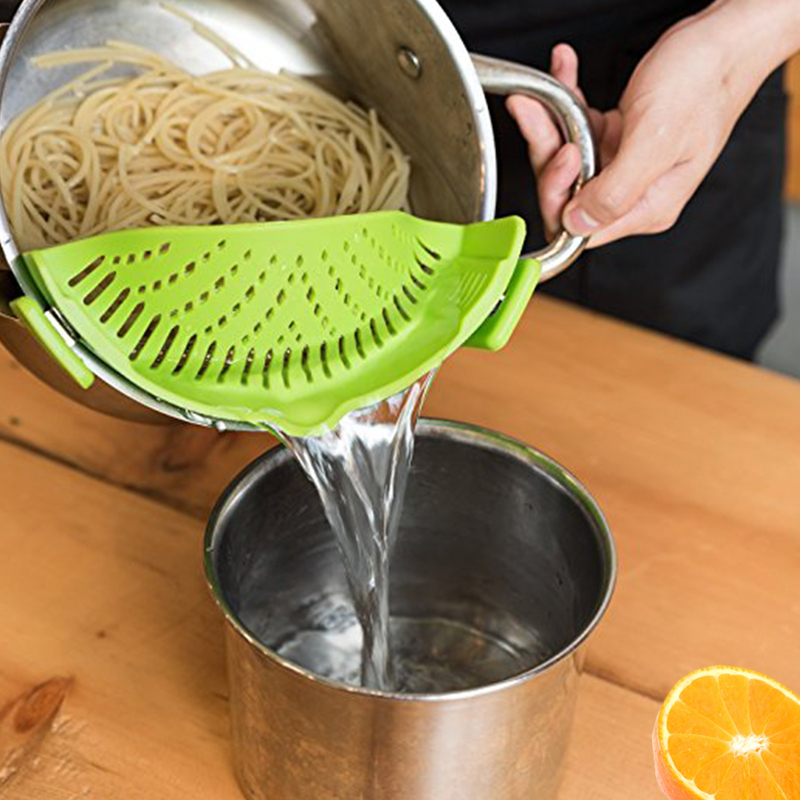 Snap 'N Strain Strainer Clip On Silicone Colander Fits all Pots and Bowls Lime Green is one of 99 Strainers and related products available for sale through Kitchengoods.com, If you have any questions on this product, please give us a call at 734-971-1210 during the hours of 9am - 5pm EST for assistance. Thank you for shopping at Kitchen Goods, your place for kitchen gadgets, and more!